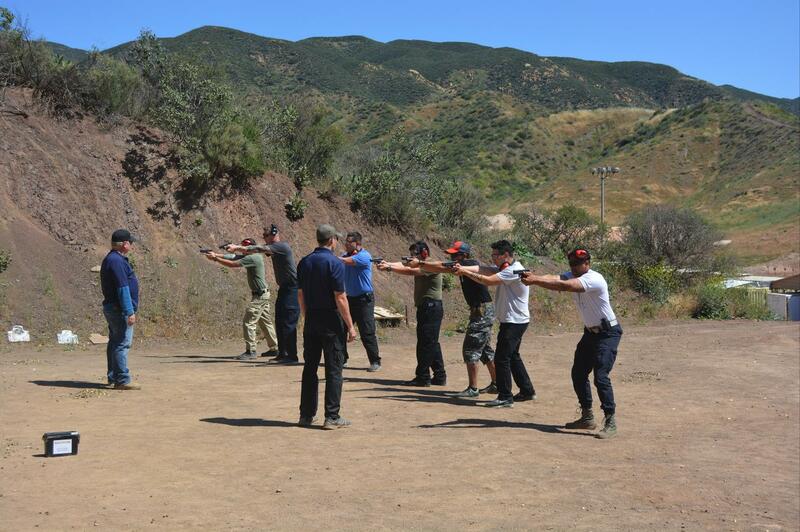 of security training to become well equipped for executive protection. as well as staff dedicated to job placement assistance. our commitment to provide our students with the best chances for employment! employment assistance in private security and law enforcement. Pacific West Academy, provides the training you need to be effective in any position in the security and protection fields. Pacific West Academy is an Advanced Security Concepts, Inc. (ASC) Company. ASC is an international leader and innovator in the fields of Executive Protection training, Specialized Training, and personal and estate security. ASC provides training and support to government, military and law enforcement agencies, as well as Canine Services to include explosive and drug detection and combat tracking worldwide. Executive Protection Training programs at Pacific West Academy provides students with the skills to be effective in any position in the security and executive protection career fields. 33 Day - Certified Executive Security Specialist Housing Included! The Certified Executive Security Specialist (CESS) Course is a 33-day Executive Protection training. The CESS program is designed for individuals wishing to break into the private security industry. Our extensive training by leading experts in the industry will prepare you for wide ranging opportunities and a meaningful career! The Comprehensive Security Training (CST) program focuses on providing the most realistic and practical fundamental base for entry-level candidates in the security. All of our training is designed to be an attainable step-by-step process to develop a confident understanding of each topic through classroom and practical exercises. Not only do we have designated classrooms, shooting ranges, and training facilities but we also offer virtual reality simulation equipment. Only experienced and certified instructors are employed to insure the best possible learning experience for the students. Pacific West Academy is supported by the GI Bill and Veterans Employment and Training Services. We also let you choose your own classes to maximize your budget. Our programs are the most affordable compared to any other program available on the market. protection training and experience into the course curriculum. Questions about Executive Protection Training? What is Executive Protection Training? Executive protection is high level, personal security that focuses on protecting VIPs, Business Executives, Politicians, and celebrities. Sometimes referred to as a “body guard”, these individuals all must go through rigorous executive protection training courses and programs to become certified. The Pacific West Academy instructors are highly qualified and provide the students with everything they need to know in the fundamentals and advanced training courses, with hands-on training and practical classroom instruction. Why Choose A Career in Executive Protection? If you are looking for a fast-paced, exciting, and critically important career you can be proud of, executive protection jobs could be the perfect fit for you. Your role as a security specialist means that you’re always alert to potential threats to your VIP, and their protection is your number one priority. You will be trained in basic and advanced firearms, evasive and tactical driving, hand to hand combat, and foundational classroom work. Who is Executive Protection Training for? Our program is great for anyone who wants to become a security specialist in the Private Security Industry. This course also attracts Military Veterans and Law Enforcement, as the skills and experience gained in the Military and in Law Enforcement are transferable to a Close Protection Operative. Skills such as observational threat assessment, firearms operation, hand to hand combat, taser training, and situational awareness are all things that are learned in the executive protection training program, but additional experience in those fields will give you a leg-up. For Veterans, this course may be covered by the GI Bill, making it a great career option for those who are transitioning out of the service. Our programs utilize the skills and experience acquired in military service and applies those skills to meet the needs of employers. Read more about how Pacific West Academy eases the transition for US Military Veterans into a new career that they can excel at. When Can I Enroll in an Executive Protection Training Program? The courses are available year-round, and enrollment is always open. Simply enroll for free, and we’ll get in touch with you to talk about what dates work for you. You can check out our training schedules for our Los Angeles and San Diego facilities. "I just want to say thank you to ASC for everything. After I graduated I got a call from ****** Security about my interview that I had with them on the last day of school. They said that the skill set and training I received from ASC (along with my military background) place me far beyond the average person who applied for a job with their company. And because of that they want to hire me not as a security guard, but as a shift supervisor. I couldn't believe it. One of my fears about starting my career and security was that I would graduate from training and not receive any job offers. However since graduating ASC I've been offered two jobs (one as a supervisor and one as a guard) and the pay for both are great. The money I'm going to start making is way more than what I was before so for that I want to say thank you. It was because of you guys that my life changed course and now the possibilities are ever-changing. Be sure to pass my thanks to Connor, Omer, Ryan, Jake, Ian, Steve and the rest of the guys." "As a former law enforcement officer I thought I had a pretty good understanding of what it would take to be a good Executive Protection Specialist but it's a whole different ball game when you don't have the weight of a badge behind you. Although this course was basically fundamentals, I felt it helped bridge the gap between my experience as a law enforcement officer and the EP field. 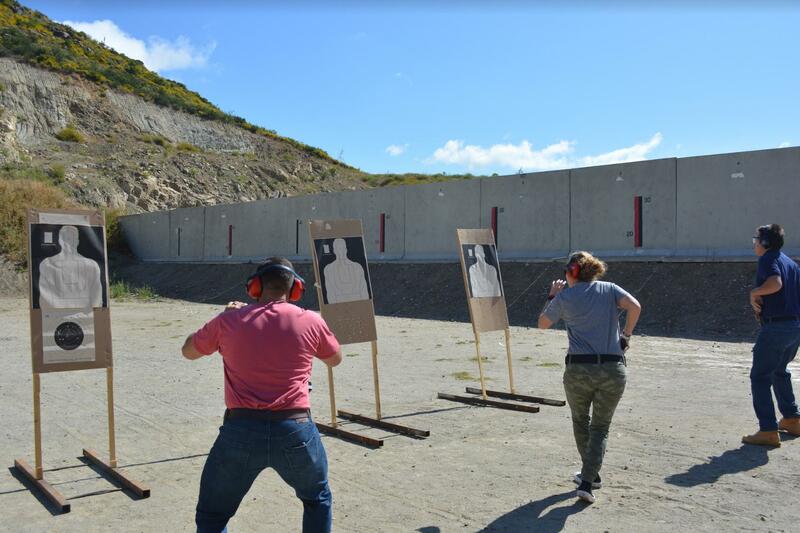 Although I had done a lot of similar range work before I found the firearms portion of the course work to be very professional and well executed and could see how this would be a great course for someone new to the field. Thanks for a great course." Pacific West Academy, provides the training you need to be effective in any position in the security and executive protection fields.